(1) Copiktra (duvelis). Highlights of prescribing information. Reference ID: 4324951, revised: 9/2018. https://www.accessdata.fda.gov/drugsatfda_docs/label/2018/211155s000lbl.pdf; (2) Blair HA. Duvelisib: first global approval. Drugs 2018;78:1847-53; (3) Curigliano G, Shah RR. Safety and tolerability of phosphatidylinositol-3-kinase (PI3K) inhibitors in oncology. Drug Saf 2019. doi: 10.1007/s40264-018-0778-4; (4) Greenwell IB, Ip A, Cohen JB. 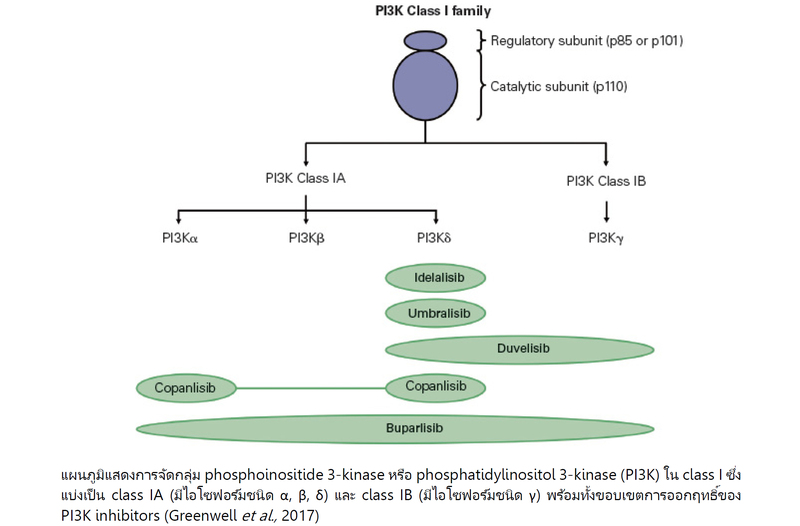 PI3K inhibitors: understanding toxicity mechanisms and management. Oncology 2017;31:821-8.